Oh no. I’ve seen that look before. The crazed eyes, the tightly-clenched jaw. The obliviousness to what I’m saying. The nervous, darting gaze. Once again, cool, rational Jürgen has vanished, replaced by some sort of deranged photo-taking beast. Since none of my arguments are going to penetrate his ears nor reach his little brain, I don’t even try and protest. 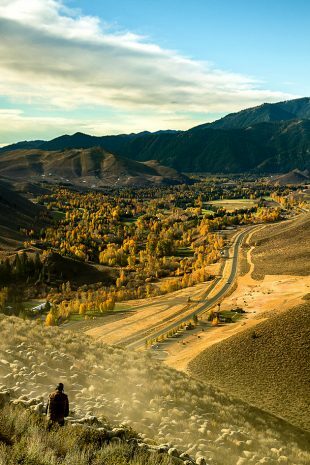 Do whatever it is you have to do, however insane. Go get your damn picture. 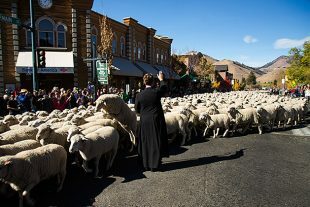 The day before the parade of sheep occupies downtown Ketchum, the nearby town of Hailey enjoys the focus of the Trailing of the Sheep Festival. 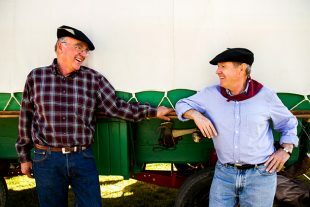 The Folklife Fair brings the traditional music of faraway lands into the Sun Valley, along with activities and food. 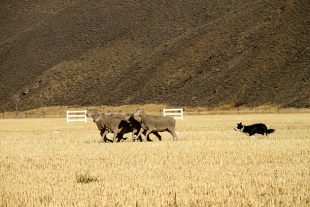 And in a nearby field, the Championship Sheepdog Trials are held.